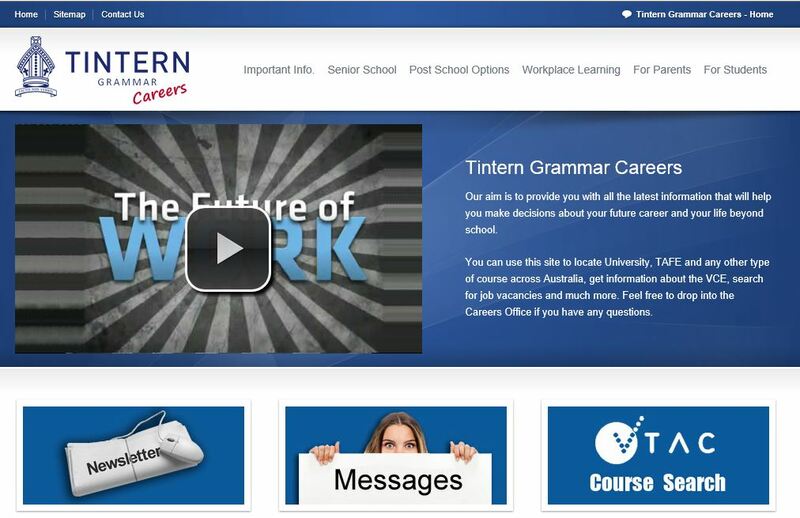 The Tintern Grammar Careers Department will be using our website hosted in conjunction with Career Tools. Families are encouraged to register for the twice per term newsletter and to browse the resources for parents. Students have their own secure area with activities sequentially presented through the pastoral program in an age appropriate manner. Year 12 students commenced their Careers interviews to discuss future options beyond school. While students can make appointments at any time, the initial interviews will commence with 12A. Parents and guardians are also welcome to attend these interviews. Senior College students and their families have received an email about the Morrisby Online Careers testing on Tuesday 18 April from 1.00 to 3.30pm in the Senior Library. There will be a series of computer-based tests to help students identify their underlying strengths including: verbal, numerical, abstract, spatial and mechanical reasoning. 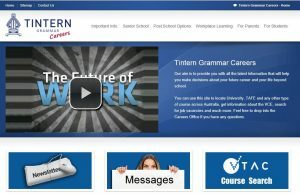 This information is combined with interests and personal qualities to produce a range of career suggestions that are useful when exploring future options. Year 10 students have been reminded about the need to organise their Work Experience placement by the end of Term 1 or to contact Mrs Julie Ennor (Work Experience Co-ordinator) if they need additional time to complete their applications or make decisions over the holidays. Students are encouraged to access support from their Mentors, Careers staff. Mrs Ennor is available on Mondays and Wednesdays to discuss securing a Work Experience placement. Monash University offers an extensive range of seminars designed for students and their families from the March to September. Each session extends from 6.30 to 8.00pm and registration is online at https://www.monash.edu/news/events/inside-monash-seminars-2017 or link from the icon on the Careers page of the Portal.